Thoughts of weymey: It's A Lie! I was thinking this morning... about lying with the truth. How can the truth be a lie? I was at the DPR HSE Conference last Monday where everyone agreed that the truth of environmental degradation cannot be a lie. When it was time for lunch, we filled our plates and settled down to replace lost energy. Hardly had we taken our seats, when one of the delegates saw a long time acquaintance of hers. She walked briskly towards her, wide-eyed and shouted 'It's a lie.' Really? How can someone standing before you be a lie? Except of course she is implying that the person before her is a ghost. Hmm!!! Just an exclamation you will say, but it got me thinking. 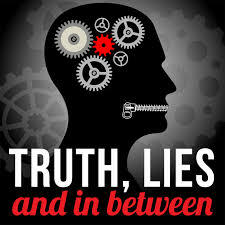 I discovered that you can lie by telling the truth (referred to as palter) but you can't tell the truth by lying. Are you confused? Think about it. Generally, it is believed that if something is the truth, it cannot at the same time be a lie. A young man promised a lady that if she married him, he will make her sleep in all cities of the world. She happily accepted and they got wedded. On their wedding night, she was stunned to discover that the bed was laid with a bedspread of the world map with all the cities of the world boldly printed. She slept on all the cities of the world. Promised fulfilled. You can lie by telling the truth but can't tell the truth by lying. Sometimes something can be so shockingly true that you wish it was a lie. Two weeks ago, the local news started reporting the attack by Boko Haram on the 157 Task Force battalion at Metele. My initial reaction was to watch the news with lugubrious 'corner-eye,' but when the Reuters news agency reported about 100 soldiers dead, I couldn't help but shout 'It's a lie.' Days later, Presidential spokesperson Femi Adesina was featured on Channels TV disputing the figure and saying that all over the world the military does not disclose casualty figures. The BBC and AFP journalists, Anna Cunningham and Phil Hazelwood immediately called him out for lying and providing evidence to the contrary that military releases casualty figures. As if to shame Femi, the Nigerian Army last Thursday released the casualty figures for the attack. At that point, it occurred to me that you can lie by telling the truth, but you can't tell the truth by lying.